Experience it all! 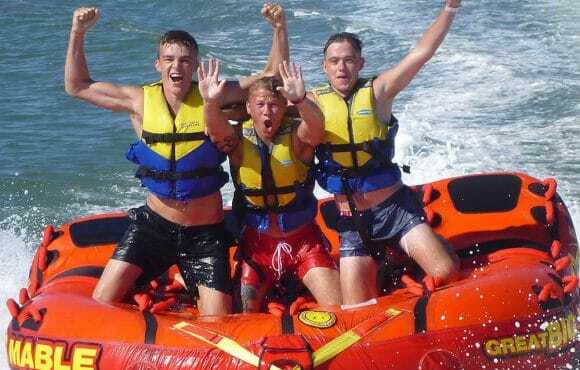 The best 3 Cairns water sports activities, at the best price. You don't need any experience or licenses, just a sense of adventure. Best 2 hour tour in town. 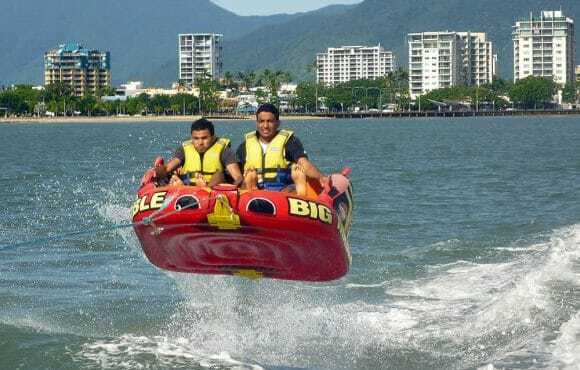 Save money and maximize your Cairns water sports enjoyment by booking the Adventure Package today. 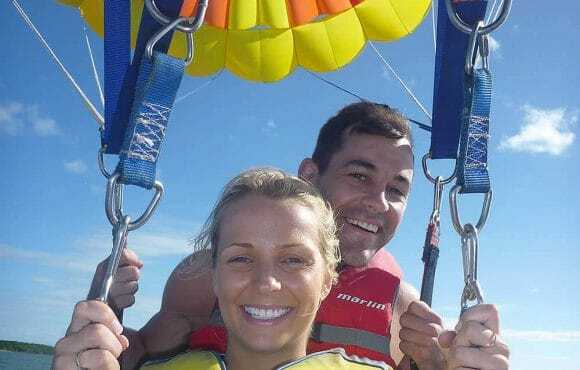 This represents amazing value for money and gives you the best three Cairns water sports activities, at the very best price. You don’t need any experience or licenses, just a sense of adventure to explore the Cairns waterfront from a very unique vantage point. This is the first adventure and after an operational and safety briefing, you have 30-minutes of uninterrupted Cairns jet ski action. Complete as many tricks and turns as you can: go as fast or slow as you like. 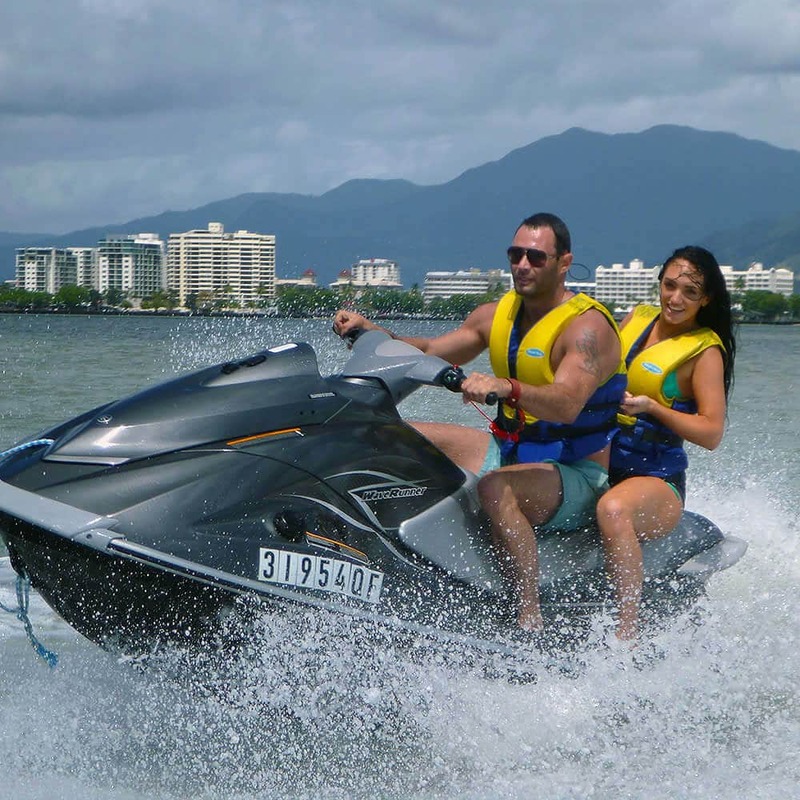 This is your Cairns jet ski adventure, enjoy it your way. 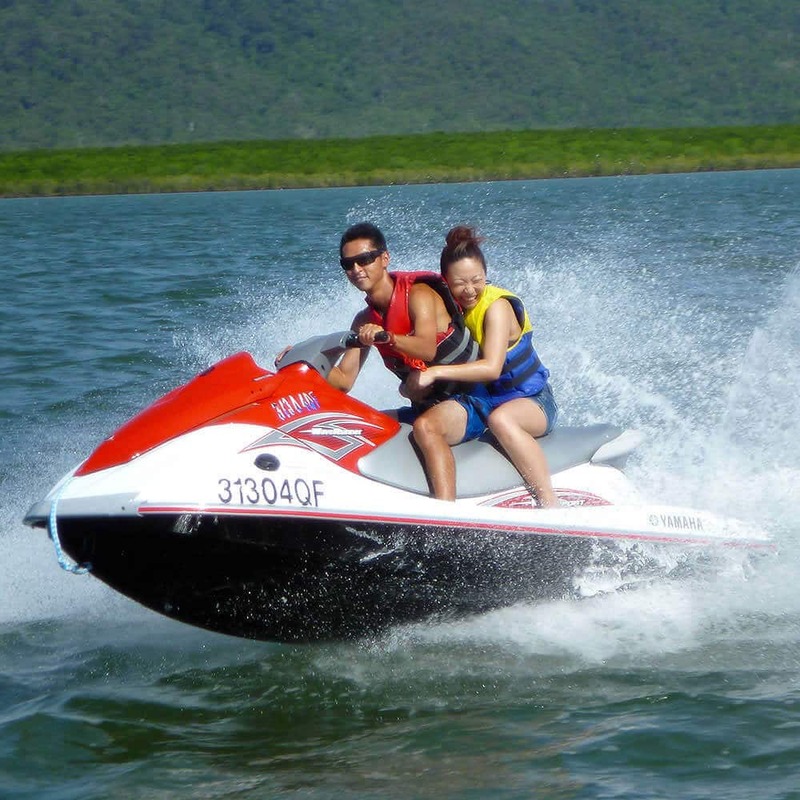 At the end, return to the speedboat for your second Cairns water sports adventure. 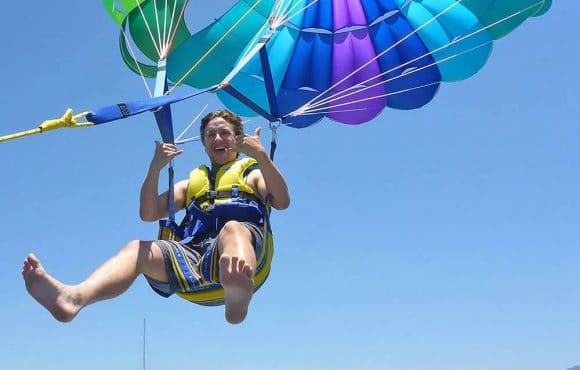 Get ready to fly high in the sky for the most amazing views of the waterfront. 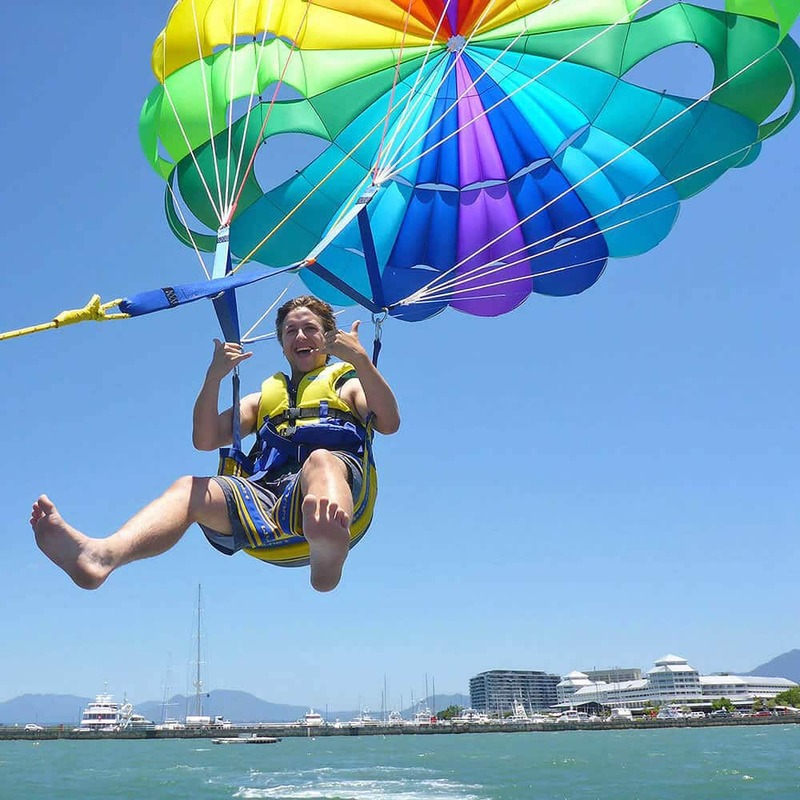 Our qualified staff will safely fit your Cairns parasailing harness and provide a quick briefing on what to do and what you’ll see, including Green and Double Islands. The crew will then throw the parachute and call you up for your flight. 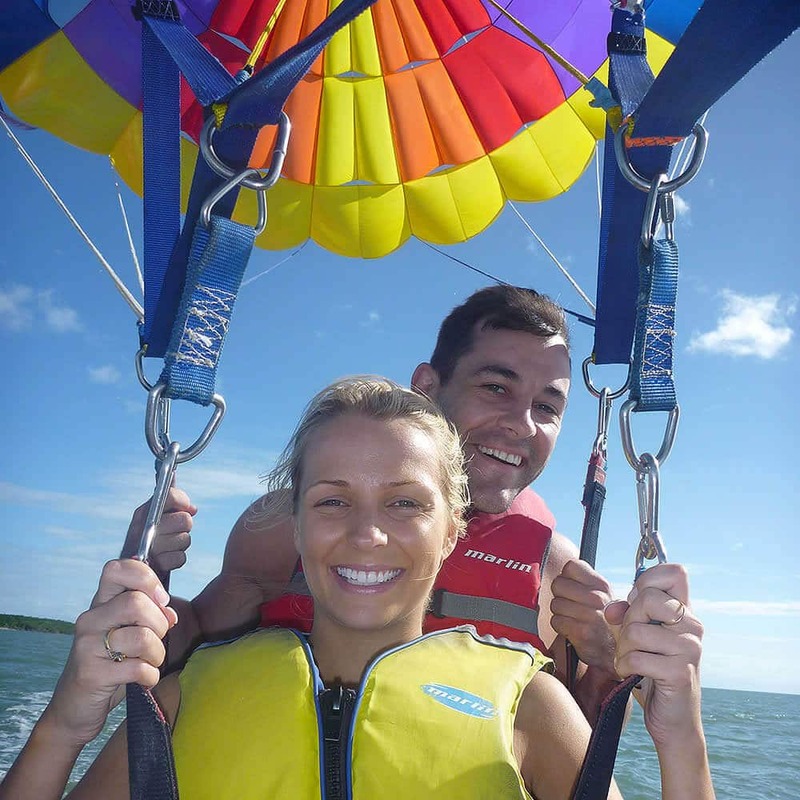 You will be attached to the parachute and winched 300ft above the beautiful Trinity Inlet. The view is spectacular! 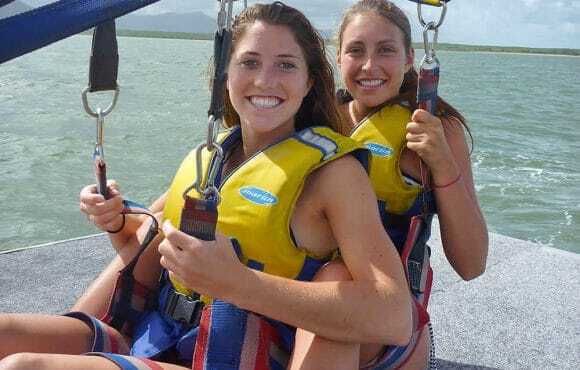 After your 10-minute flight you are slowly winched back to the custom-made parasailing vessel, to land safely on the back deck. Remember, let the staff know if you want to dip your toes. This completes your Adventure Package. 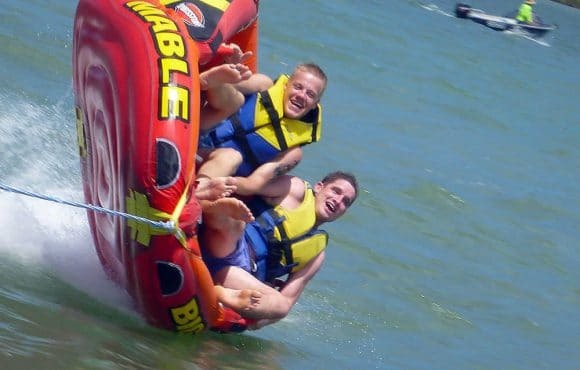 Hold on tight as we cruise around Trinity Inlet on a Cairns bumper tube ride. It’s your holiday, so let us know how fast or slow you’d like to go. 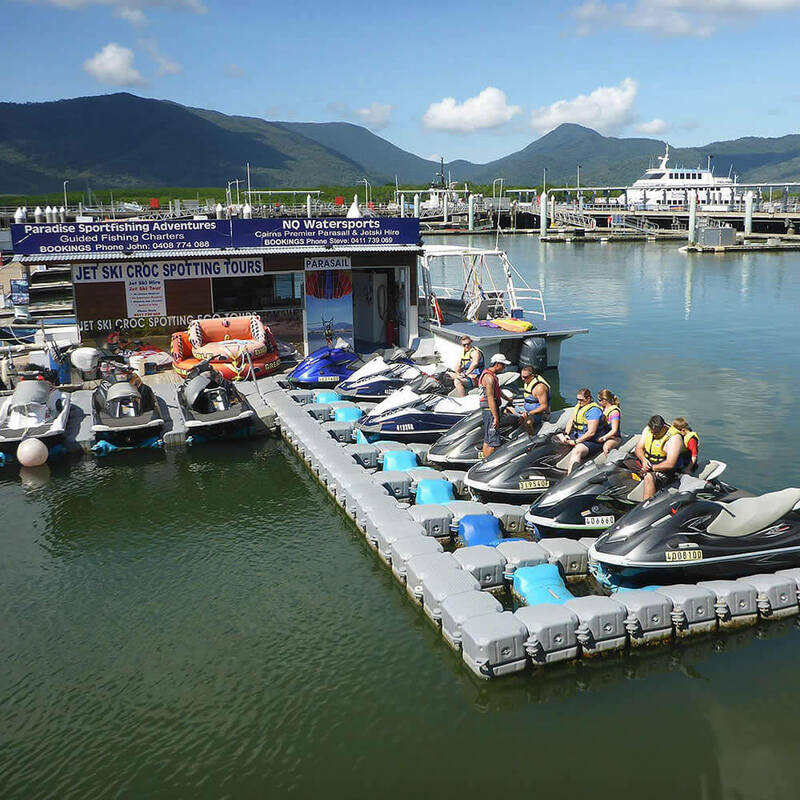 Following the 10-minute bumper tube experience, you will be returned to the Cairns Marina to continue your day. 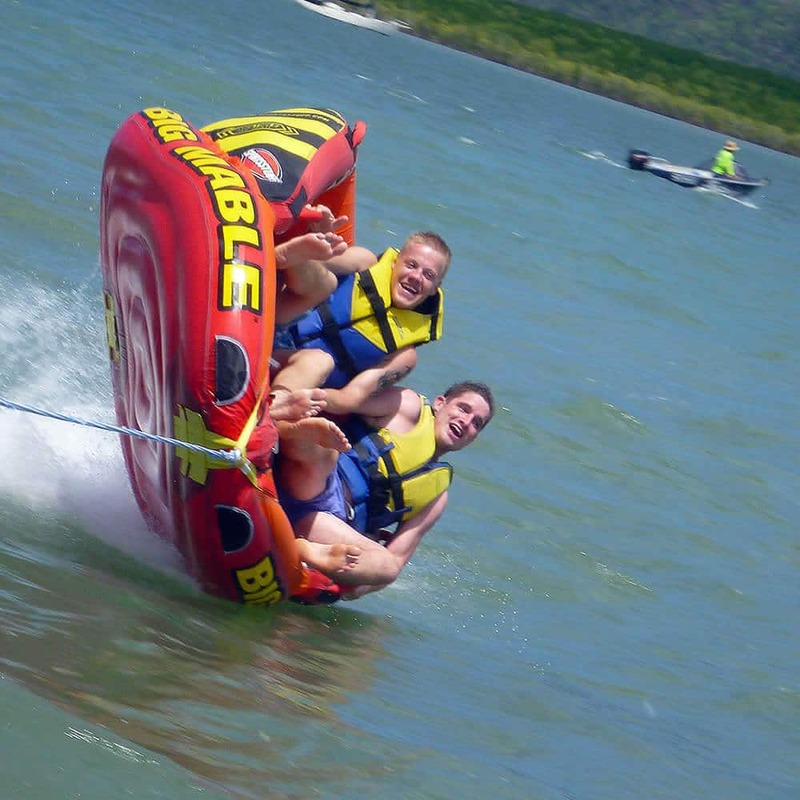 NQ Water Sports operates its Cairns Adventure Package daily at: 9am, 11am, 1pm and 3pm. No experience or license necessary. 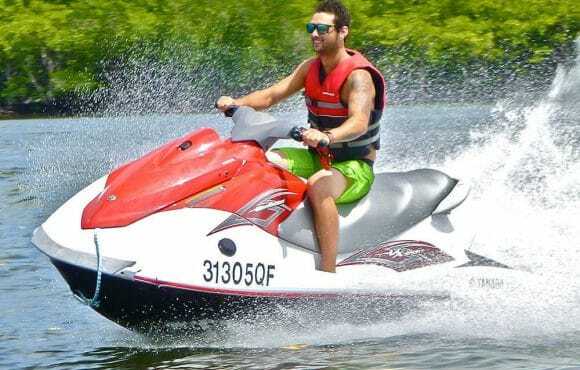 Our qualified staff will organize your life jacket and provide a full safety briefing prior to jumping on the jet ski. 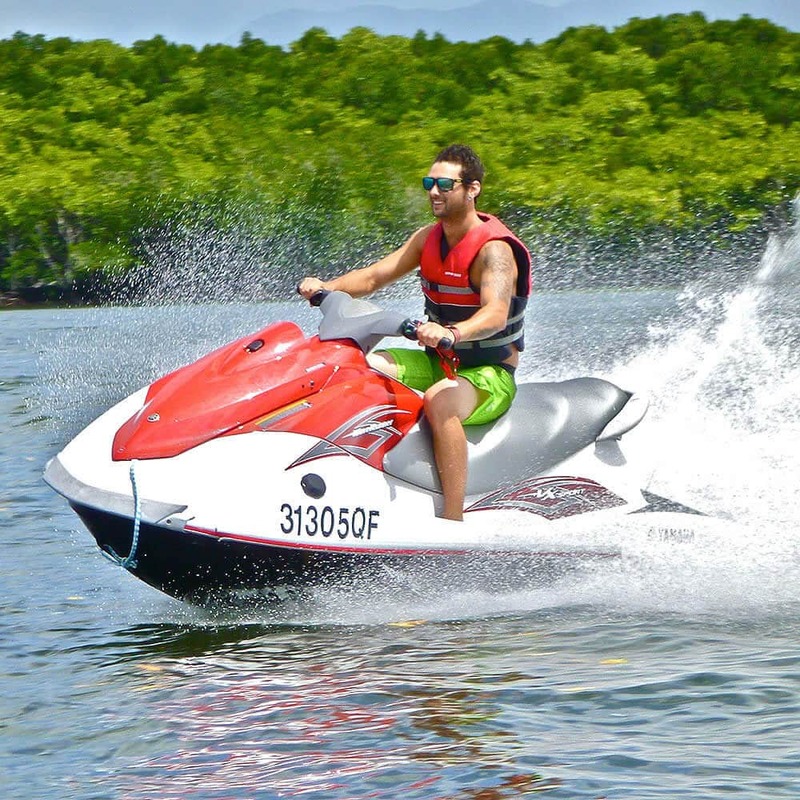 Jet ski tours are suitable for people of all ages and can be enjoyed solo, tandem or as a guided tour. Ride as fast or slow as you like. 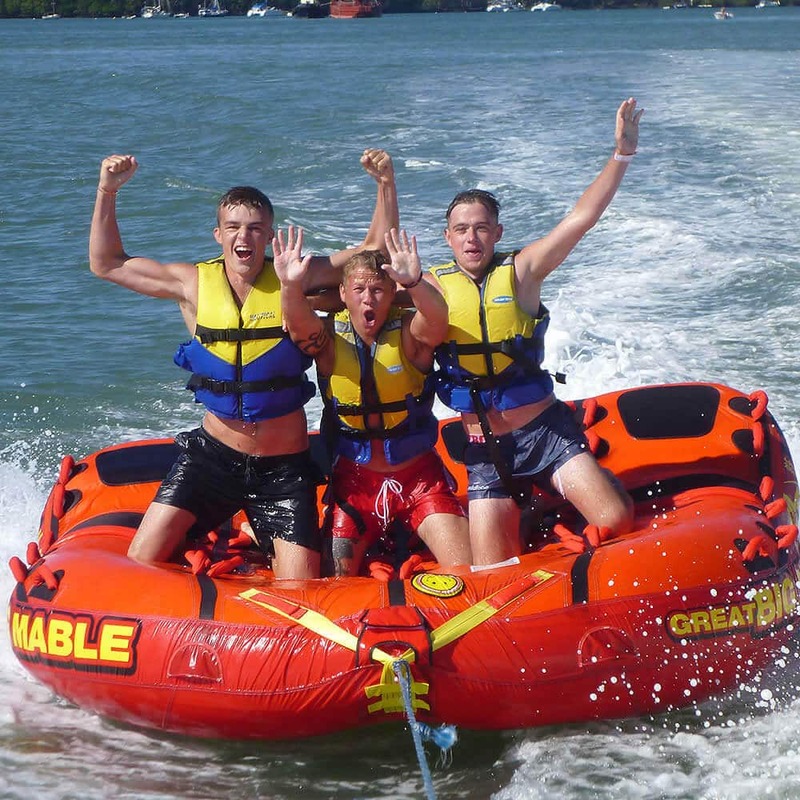 Our qualified staff will stow your belongings and organize your life jacket and parasailing harness. We offer a courtesy pick up in Cairns where you will be taken to our custom-made vessel, located at B finger at Cairns’ Marlin Marina. Contact us for more information, or if you have any queries, on phone 0411 739 069. 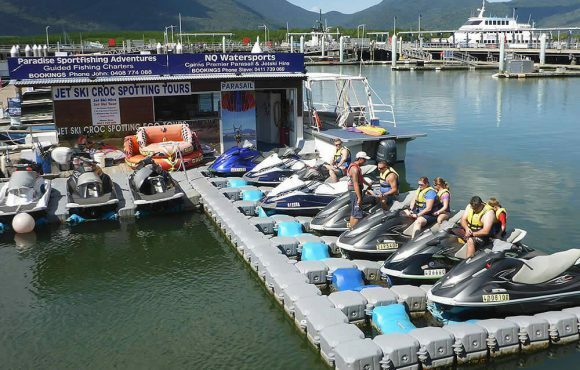 NQ Water Sports specialises in providing Cairns’ best water sports experiences. From the thrill of parasailing, jet ski, bumper tube rides and croc spotting tours, in the calm waters of Trinity Inlet on the Cairns Esplanade, to chartered fishing trips. 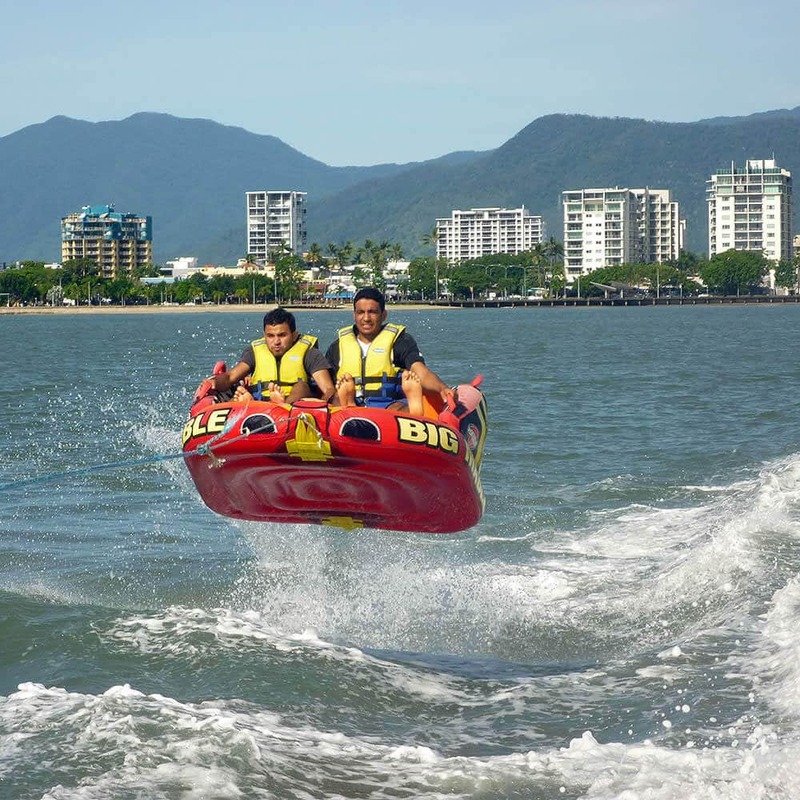 We operate seven days a week and look forward to booking your Cairns water sports adventure.